Jane Apr 14 2019 11:13 am This actress is so pretty, I want to lick her. She's finally legal now. Ran Oct 15 2018 7:10 pm I love this girl so pretty! She's one of my favorite child actresses together with Kim Yoo Jung and Moon Ga Young back when they still didn't do on-screen kisses LOL. They grew up so fast I feel like an ahjumma. 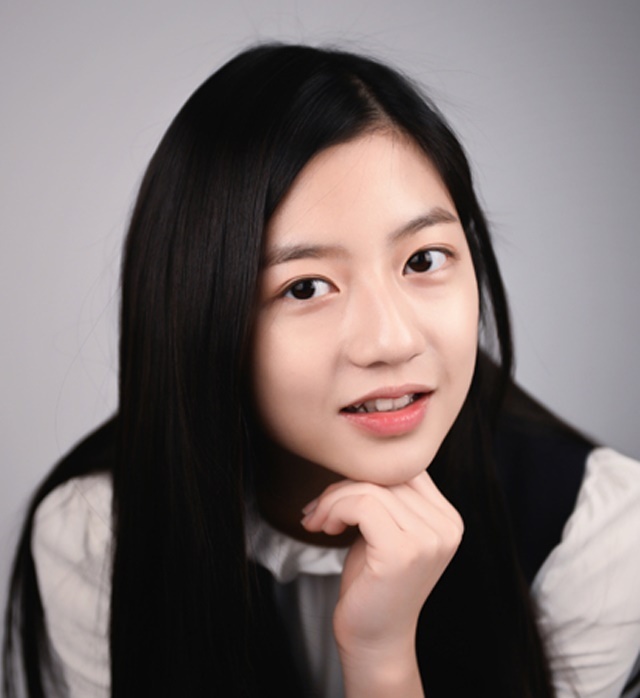 Hopefully in the future she'll have a lead role with Nam Da Reum or any child actors with her generation! Waw Oct 07 2018 5:44 am She REALLY REALLY looks like Jihyo from Twice. syadrama Sep 11 2017 1:12 am she did a good work in solomon perjury, i like her acting and also she fit the role because of her calm personality mix with emotions makes her so good for this role. shadow Dec 30 2016 7:40 am she looks like yoon eunhye, doesnt she? MaeQ Dec 21 2016 7:25 pm She's so lovely. Looks so pure and bright. I liked her since You Who Came from the Stars and especially on Joseon Gunman. I will watch this for her as I've been wondering when next she'll have a drama. Fighting Kim Hyun-Soo!! Qt-Gidae Oct 02 2016 10:12 am Really adorable and Smart with excellent acting skill. The most impressive acting : Familyhood (2016) Fantastic! she was able to overcome the difficult role as a pregnant-schoolgirl, really touching in every sad moments (actually, i was dropped a lot of tears in this movie - i'm a male). I think she will be a "Goddess" of Humanist and Mello-drama in the future. whatever, i can't wait for her next drama or movies. Syi Apr 16 2016 8:32 pm Excellent job in Silenced! hani Dec 21 2015 2:55 am cute! I love your acting skills in My love from the star! Hoping for a brighter future ahead of you! Zixing Aug 16 2015 4:01 am What her height???? I'm 00' liners too...mg height is 157 cm. cameo Jul 26 2015 3:23 am she is in 49 days as shin ji min. Lee Seo Hwa Jun 04 2015 9:55 pm @Darrel Who cares, age doesn't even matter..
J May 05 2015 5:10 pm Will definitely keep an eye on her. Her acting is awesome. Kim Song Yi Feb 20 2015 11:34 pm I'm in love with do min joon if I become a lady on future. I want to be a actress at Korea when I grow up! christina Jan 09 2015 3:17 am Knew she is young but never thought she's that young. She acted really well in My love from the star especially as Yi-Hwa in the scene where she was with Kim Soo-Hyun before being killed. Should have a closer up picture here. Gabriela Dec 22 2014 9:55 pm She's definitely going to get far on her acting career. Her performances are superb at such a young age, wish her the best. justwow Dec 03 2014 9:17 am She is going to become big, like I mean really big. The talent she already possesses at only 14, after seeing her performance in "You who came from the stars", there is just no doubt. She made me cry like a little girl in her final scene. I just hope there are people taking well care of her. I wish you a bright future young lady. SomeDude Dec 01 2014 12:00 am She's in IU's video, Sogyeokdong recently. abigail libo-on Oct 29 2014 1:49 am i really like since i've been watch you in my love from the star.. great great .. im pretty sure you will have a better future ! Hwaiting ! marceline Aug 22 2014 12:07 am she's not that good of an actress, but I'm pretty sure she will get better in the future. Jang Mi Aug 07 2014 4:25 am She's so lucky. She starred along side Soo Hyun oppa and Joon Ki oppa, as well as Jun Ji Hyun!!! I thought she was older though, because she's such a good actress. Defo has a future in acting. azure Jul 14 2014 11:29 am Really an amazing actress despite ha age...fighting!!! mary shantal maupoy Jun 30 2014 6:58 am your amazing kim!! Aladdin May 27 2014 9:39 pm Yo, just amazing I think that this young actrees will have such a great future. Her acting is going to bring her somewhere great!! She was really good in her acting in from my love from the stars, Lol she made me cry from her performance, really think that she has bright future a head of her. Hope in seeing her becoming one of korea's best actress someday..
She's the most beautiful & prettiest girl tht I ever seen in child actress! I love her so much!! !She is so talented and beautiful!She's good at acting! My favorite drama of her act is you who came from the star.I really like her, she totally in the game playing a role as yi hwa.Plus, i like seeing her with Kim soo hyun oppa....their both looks perfect together. Rodrigo Apr 29 2014 2:34 am she's so beautiful...i like her,,she has great acting skills..i would like to see more in the upcoming years as a Lead Actress!! she can do it! JJ Apr 17 2014 9:22 am I love her so much!! !She is so talented and beautiful!She's good at acting! My favorite drama of her act is you who came from the star.I really like her, she totally in the game playing a role as yi hwa.Plus, i like seeing her with Kim soo hyun oppa....their both looks perfect together.And i cried out of the hell to see the scene of yi hwa deads.....at the same time i was impress with her act.I SUPPORT YOU!FIGHTING! kimjie Apr 08 2014 9:41 pm Shes so great in acting....i wish more drama for her...she and kim yoo jung are both great in acting. Hillary Apr 07 2014 8:13 am This kid is brilliant. Her acting skills are far above average. I would love to see her in motion pictures here (USA) as well as in Korea. Selfish of me I know but hay, the kid is just that good. She is a beautiful child and I love the fact that her teeth are not perfect. She is comfortable in her own skin and that is such a positive body image message. Sure down the line she will probably get braces, most young girls do. Till then she is someone young girls can look up to and admire because she is beautiful and not perfect. Perfection is not real beauty. That is what I tell my daughters.Now that so many people watch Koren dramas she has the ability to influence young girl to love themselves, and that's what makes her a star. Park Bae Ji Mar 20 2014 9:17 pm she's so beatiful. And has different look, i like her teeth because her teeth make her so natural. Seihana Feb 19 2014 6:00 am i knew her after watched Runningman 185. it's so funny when she talked with yoo jae suk. she can't hold her laught when yoo jae suk made a joke to her. haha. so cute. but i didn't expect her to be born on the year 2000. i thought she was 20 years old this year. anyway she acted very well in You who came from the stars..fighting!! Dawn Jan 13 2014 11:08 am @AMW, I agree with you....she as well as all of the children in Silenced were good. I own the DVD. Such a sad and horrible story, but excellent portrayals from entire cast. @ssandra, I'm gonna have to re-watch Good Doctor, I think she was a patient w/the sister who she keeps trying to get together w/one of the doctors...and she has a slight crush on the doctor w/austism...I think. If this was her character, then I agree she was good in Good Doctors as well. I am loving her performance in You Who Came From the Stars...albeit, brief flashbacks it's still a good and clean performance. It's good to see another beautiful young lady on the scene...I wish you a lot of success in your film career and life. AMW Jan 06 2014 9:32 pm Couldn't recognize her in Man From the Stars...she's so grown up now. Loved her in Silenced. She gave an outstanding performance. sharonlee94 Jan 05 2014 2:19 am Didnt she play in gaksital/bridal mask too? ssandara Dec 27 2013 8:12 am I saw her in man from the stars as young song yi. That's why she kind of familiar. She is from good doctor too. FRESYAH Dec 22 2013 11:34 pm WOW... she's girl ?! Kjstar10 Oct 20 2013 10:14 am I am confused she plays a guy in silenced right? 조슬린 Aug 30 2013 2:30 pm I THOUGHT I RECOGNIZED HER IN GOOD DOCTOR!!!! Her acting in Silenced was unbelievable. .... if you didn't cry watching that movie you have a serious problem. Glad to see her acting again! ren Apr 25 2013 7:14 am i think she played as da mi in Gaksital, or am i wrong? Kim1 Sep 22 2012 11:25 pm Such great young and cute actress! She really shined in the movie Silenced and I'm looking forward to more of her acting skills.